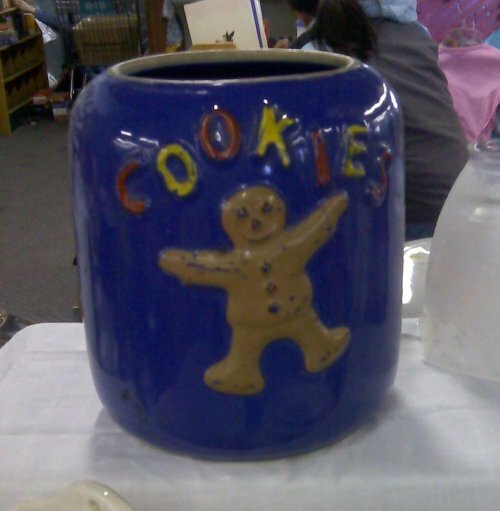 Over the weekend I found another yellow-glazed vintage pottery cookie jar: a figural traffic light cookie jar . 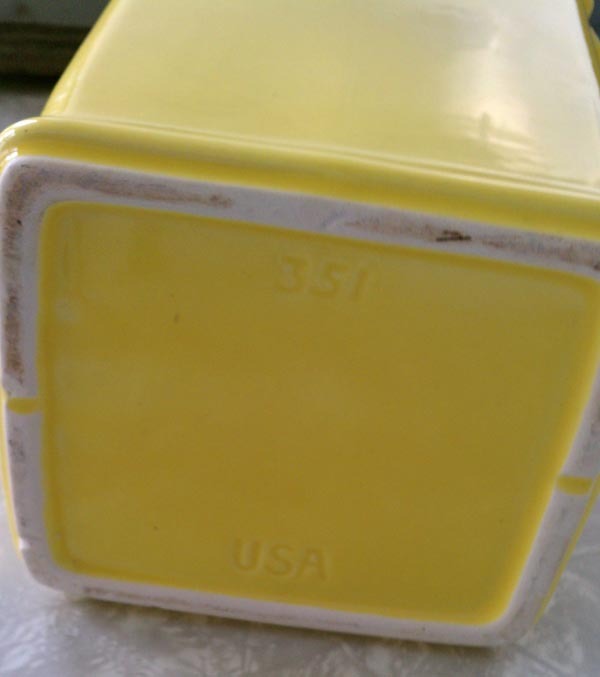 There’s no maker’s mark; just the number “351” and “U.S.A.” embossed on the bottom. 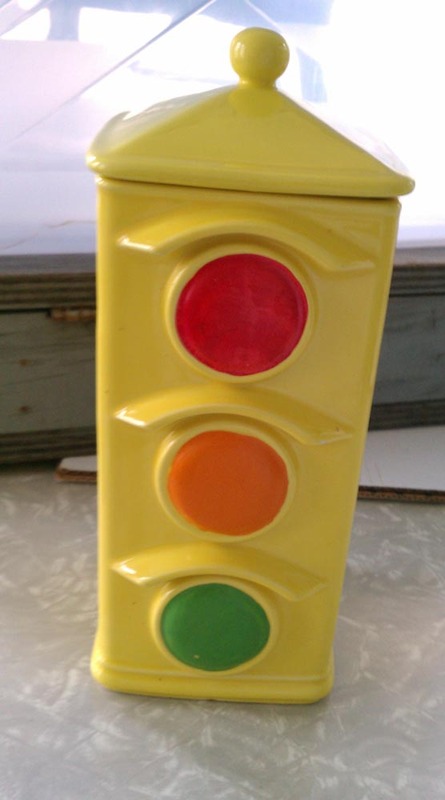 However, research proves that this vintage pottery traffic light cookie jar was made by McCoy, and has not been reproduced — or, to be more precise, faked. As I wrote, one way to tell that your McCoy pottery piece is authentic is to find a the correct embossed maker’s mark. In this case, while the McCoy mark seems to be missing from this traffic light cookie jar, it’s not a bad sign — so to speak. *wink* McCoy sometimes only used the U.S.A. embossed mark along with the style number, usually along with a paper label, as the vintage pottery pieces were marketed to different businesses. 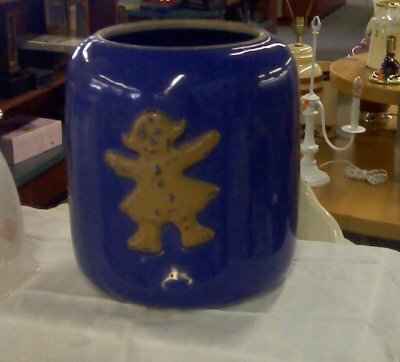 While I was not previously familiar with this figural cookie jar, it seemed to “say” 1970s to me. In fact, it reminded me of Sesame Street — I guess because stop and go lights are often near street signs. *wink* Turns out, my hunch was correct; the cookie jar debuted in 1974 and was made for another ten years or so.